About two dozen protesters gathered outside Nevada SPCA (Society for the Prevention of Cruelty to Animals ) on Saturday. 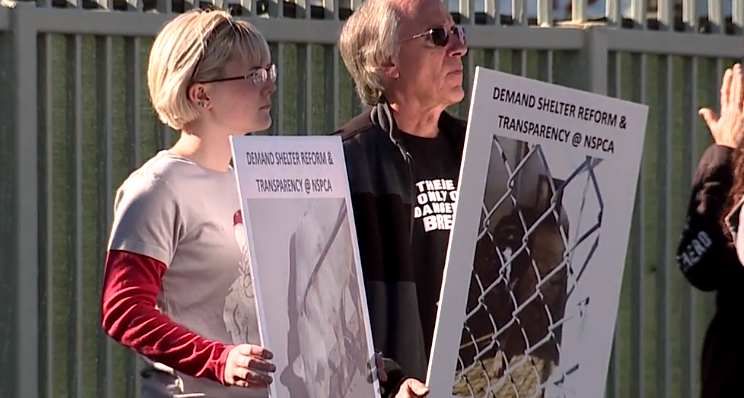 LAS VEGAS (KTNV) — About two dozen protesters gathered outside Nevada SPCA (Society for the Prevention of Cruelty to Animals ) on Saturday. The group of animal advocates were asking for adequate and humane living conditions for the animals inside the shelter. They were also requesting transparency from the no-kill shelter. The NSPCA had more than 1,700 animals a year ago. In November, they had about 600 and said they are doing the best they can as a no-kill shelter.